My boss forward me an email this morning and I was like, urgh, Financial Wisdom? What is it anyway? Owh, it’s a new year letter from Warren Buffet. Probably you never heard of his name or never give a damn about who is Warren Buffet. 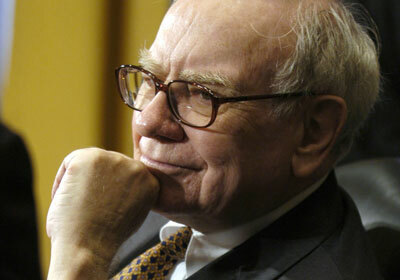 Just a simple introduction about him, Warren Buffet is the richest man on earth. Short and simple isn’t it? Source: http://www.forbes.com/lists/2008/10/billionaires08_Warren-Buffett_C0R3.html For more info about Warren Buffet, please google it~ 😉 So, this is what in his new year letter. — We begin this New Year with dampened enthusiasm and dented optimism. Our happiness is diluted andour peace is threatened by the financial illness that has infected our families, organisations and nations. Everyone is desperate to find a remedy that will cure their financial illness andhelp them recover their financial health.They expect the financial experts to provide them with remedies, forgetting the fact that it is these experts who created this financial mess. Every new year, I adopt a couple of old maximsas my beacons to guide my future.This self-prescribed therapy has ensured that with each passing year, I grow wiser and not older.This year, I invite you to tap into the financial wisdom of our elders along with me, and become financially wiser. Spending: If you buy things you don’t need,you’ll soon sell things you need. Savings: Don’t save what is left after spending;spend what is left after saving. Hard work: All hard work brings profit;but mere talk leads only to poverty. Laziness: A sleeping lobster is carried away bythe water current. Earnings: Never depend on a single source of income. Borrowings: The borrower becomes the lender’s slave. Accounting: It’s no use carrying an umbrella, if your shoes are leaking. Auditing: Beware of little expenses;a small leak can sink a large ship. Risk-taking: Never test the depth of the river with both feet. Investment: Don’t put all your eggs in one basket. Superb, Girly. Very very useful indeed. Can I borrow this with credit to you blog?